These Jeopardy templates will help you create custom Jeopardy games to help your students get ready for a test, review prior information, or even be introduced to a new unit. Elementary school children all the way up to high school students love taking a break from "normal" learning with a fun game of Jeopardy. They won't even realize how much they're learning. 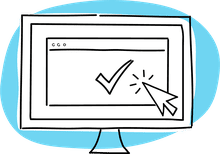 The templates below are structured like the Jeopardy TV game show and can be opened in Microsoft PowerPoint or a free presentation software program. All of the Jeopardy templates can be customized to some degree. Some will have a completely blank board while others have questions and answers already filled out for you. They can be used for any school subject and are great for homeschooling as well. There are many other PowerPoint game templates to help you students learn and I especially recommend the Family Feud PowerPoint templates for a fun test review game. This free Jeopardy template opens in the free Google Slides and has complete instructions on how to edit and run the game. It makes the process simple and fun. There is room for five topics on the board as well as Final Jeopardy. This template makes adding your own questions and answers easy. Youth Downloads has created a Jeopardy template that is incredibly easy to use. It has room for six categories with five questions and answers per category. There's also a Final Jeopardy template. Go through the slides and enter your categories, answers, and questions and you're all ready to play. Teachers Pay Teachers has a free download available for a Jeopardy template created by Speight Ed. This template has everything you need including the slideshow template, songs for both thinking and the daily double, and a user guide that takes you through the process of creating your own Jeopardy game. Here's another free download of a jeopardy template from Teachers Pay Teachers, this one created by Connor Bradley. The download includes the Jeopardy game template, game instructions, a score sheet, and a link to a video tutorial to get it all set up. Jeopardy Labs allows you to create a Jeopardy game that's played right in the browser, no slideshow program needed. You can specify the number of teams that will play, the categories, and the answers and questions. A scorekeeper at the bottom of the game makes it easy to keep track of how everyone is doing. Since this runs through a browser, it makes it easy to have students play it on their own or in small groups. Here's a Jeopardy template that you can use in PowerPoint or any other slideshow program that supports the PPT file format. 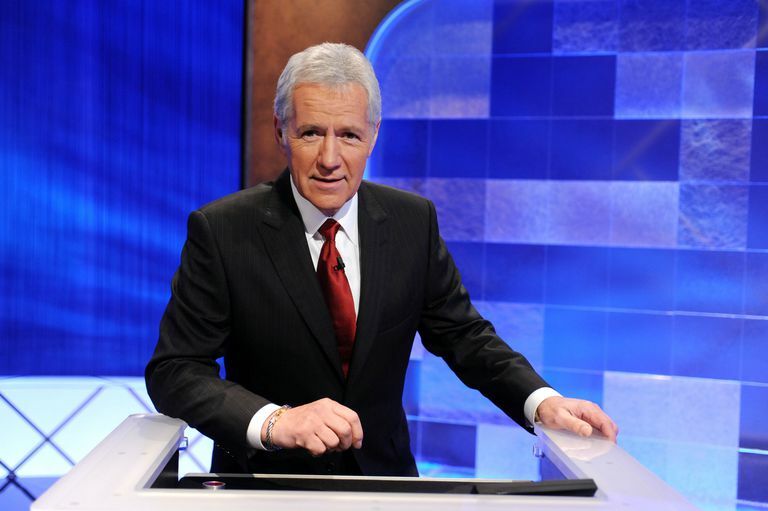 As you see in the image, this Jeopardy template supports five topics, each with five of their own questions. Each slide is filled with a unique color to match the other slides in its same category. With each slide, the question appears automatically as you move to it, and the answer is available after a mouse click. Use your browser and fill in five categories along with five questions in each category. There's also room for a Final Jeopardy question and answer. You can choose to use the original version or the new revamped version of the game. The game can then be played right in the browser. It can be played on a screen in the classroom, individually by the students, or the students can all join a live game that you set up. This template is a very advanced Jeopardy template because it has macros, which means there's a countdown timer, scorecard, and randomly placed Daily Double slides. Plus, the game board is wonderfully designed and looks really nice. You can add the questions into the game or into a spreadsheet with you can then import into the game. This game works with eight or four players, depending on the template you download, and includes Double Jeopardy and Final Jeopardy. The correct and incorrect buttons are used to keep score throughout the game. If you have any questions on how this Jeopardy template works, there are thorough instructions on the second slide. This Jeopardy template from Teachers Pay Teachers is all about classroom rules and procedures. It's a great idea that will really help students remember the rules of your classroom. You can use this template for your own classroom procedures or for any other classroom review or unit introduction. Just click and type to change any of the text. This PowerPoint template can be used for teaching or learning fractions. These PowerPoint slides are already filled out with questions you can keep or edit for Jeopardy. It has four categories, like Equivalent and Comparing, each with five questions for 20 questions total. The download will start immediately and will be in the PPT format. Centered around geometry, this Jeopardy game has four categories for a sum of 20 questions on things like angles, lines, and quadrilaterals. All of these slides are pre-filled with questions and answers, but just like any of these templates, you can edit them out and put your own geometry information in. This Jeopardy template downloads in the PPT format. 20 vocabulary questions are in this Jeopardy template and they're already filled out for you. However, because the template is so simple, there aren't any score keeping capabilities or sound effects. Editing this PowerPoint template is as easy as replacing the questions and answers with your own.